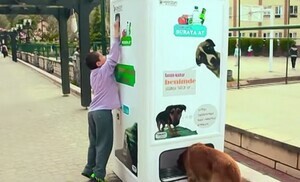 A new vending machine from a company called Pugedon dispenses food for the strays of Istanbul every time a bottle is deposited for recycling. 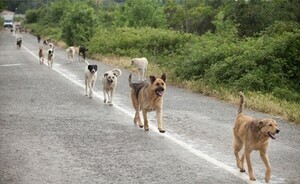 In a city known for its high number of stray dogs and cats (an estimated 150,000), it’s more of an awareness-raising gesture than a solution to the wider problem, but still. Posted in Video and tagged recycle, strays at 1:22 pm on July 26, 2014 by Broadsheet.